Growing up Easter was one of those holidays that seemed to sneak up on me... at least when I was very young. As a result I've been trying to find ways to talk more about Easter in the weeks leading up to it but to be truthful it's a struggle. 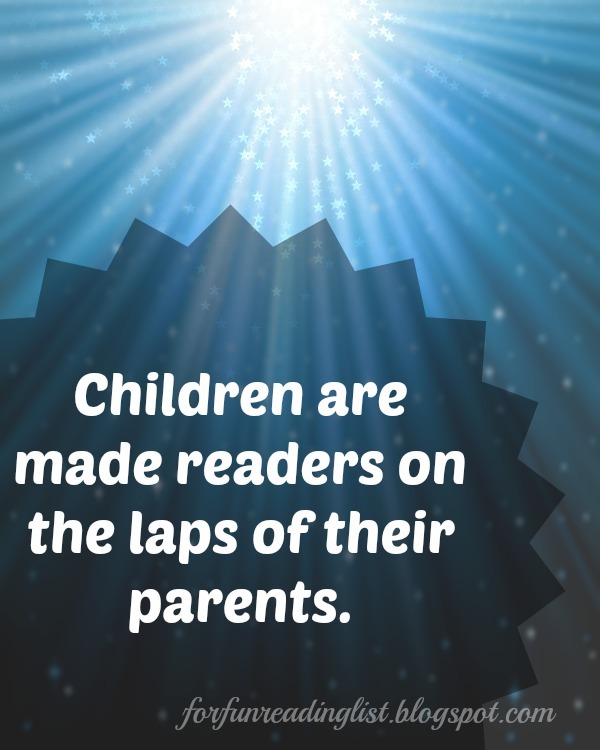 As I have been searching for ideas, I've been asking others to share their favorite ways to prepare kids for Easter, and of course that means, asking what kind of books they love! So today I'm glad to introduce you all to Mandy as she shares a couple of her absolute favorite Easter books! Mandy is passionate about two things: The Word of God and the Souls of Men (and Ladies!). She is a married to her best friend and gets the privilege to love on their three blessings (who lost their biological momma leaving her husband widowed).She loves that the Lord has let her life be an example of delighting in Him and watching Him mold her life to make her desires match His. She spent 9 years in an early childhood classroom, and 4 years in an “in house” seminary program at her home church.She loves to bring God glory through her roles as Christ-follower, Wife and Mother (in that order!) She enjoys women’s ministry, cooking, crafting, and traveling the world. Her greatest desires are to have her marriage bring God ultimate glory, see her children walk in truth, to lead others to the feet of Jesus, and to lead women into deeper and intimate relationship with their Savior through study of the Word of God. There are so many great books out there for kids on the true meaning of Easter – and they are great resources for us as parents in how to help train and tell the Gospel Truth to our kids. 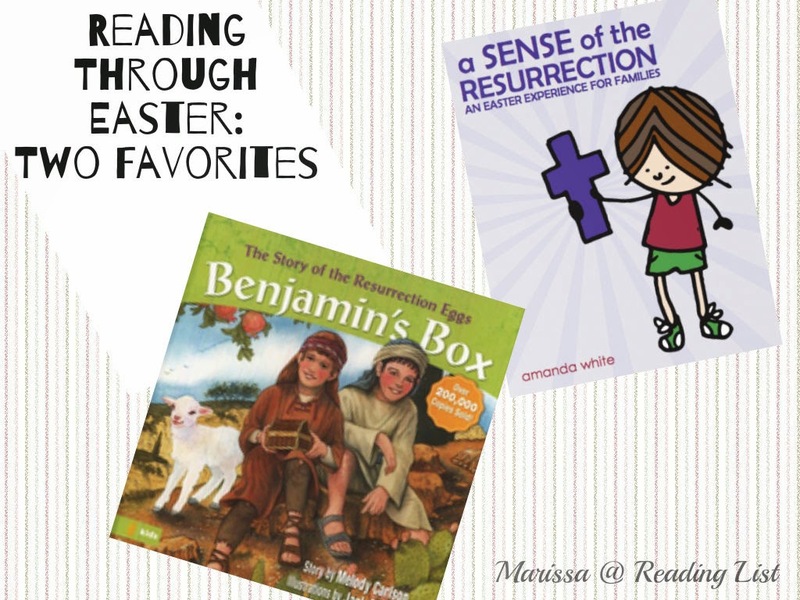 Today, I am so excited to share with you a few of my favorite book resources for kids that I use for Easter. Benjamin’s Box- This book is a book about young Benjamin, the grandson of a shepherd. The book begins telling of how Benjamin’s grandfather was at the birth of a king. The book then walks through the last days of Jesus life, with Benjamin collecting significant items along his journey. The book does have some graphic pictures, so I would be careful using it with very young children, unless you are comfortable talking about it. The book however, does give a great perspective of Easter from a child’s standpoint, ends with a very good “Go therefore and teach others:” message, and is meant to go along with the Resurrection Egg curriculum. These are two of my very favorite resources for sharing Easter with children. As a mom and an Early Childhood educator, I find it important to find GOOD resources for teaching kids about the most important truth they will ever encounter- Jesus' love for them, and what He did for them on the Cross. Mandy blogs personally at Worshipful Living and is on the leadership team for Good Morning Girls helping women get in the Word of God on a daily basis. Mandy is passionate about two things: The Word of God and the Souls of Men (and Ladies!). She is a married to her best friend, and gets the privilege to love on their three blessings (who lost their biological momma leaving her husband widowed).She loves that the Lord has let her life be an example of delighting in Him and watching Him mold her life to make her desires match His. She spent 9 years in an early childhood classroom, and 4 years in an “in house” seminary program at her home church.She loves to bring God glory through her roles as Christ-follower, Wife and Mother (in that order!) She enjoys women’s ministry, cooking, crafting, and traveling the world. Her greatest desires are to have her marriage bring God ultimate glory, see her children walk in truth, to lead others to the feet of Jesus, and to lead women into deeper and intimate relationship with their Savior through study of the Word of God. Want to follow Mandy? Check out her links below!